Classical Music: Madison Opera’s Opera in the Park was a big hit. Next year’s Madison Early Music Festival will explore Thomas Jefferson’s library and early music north of Mexico. Despite the heat and humidity Saturday night, the Madison Opera‘s 10th annual Opera in the Park, which wrapped up the company’s 50th anniversary season and marked the beginning of Kathryn Smith‘s tenure as general director — but which The Ear unfortunately couldn’t attend — drew rave reviews. 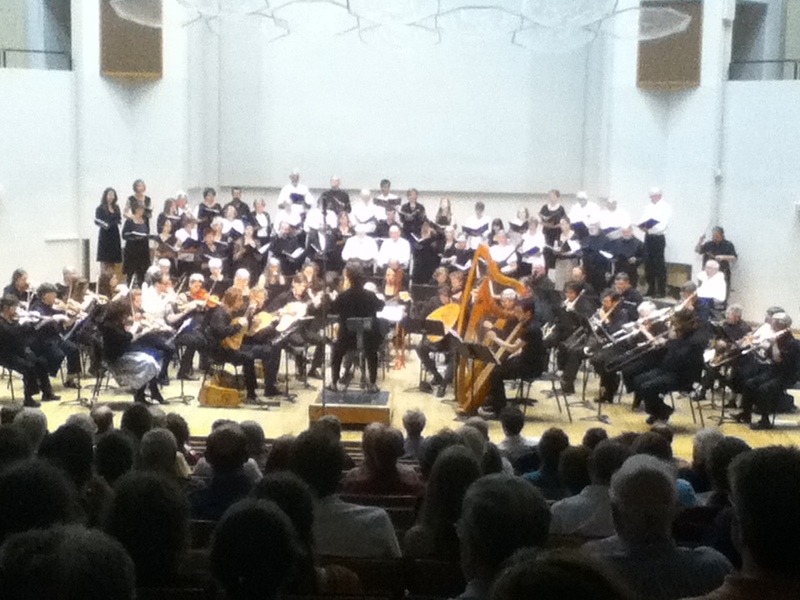 Saturday night also offered a terrific wrap-up to this year’s Madison Early Music Festival MEMF. The quality of the music and the quality of the performances at the impressive All-Festival concert were both extraordinary – and I will do a more detailed review of it later this week. But one of the highlights of the concert (below), which was well attended, given the competition from Opera in the Park, was the announcement of the theme for next year, when MEMF will hold its 13th annual event. Co-founder and co-director Cheryl Bensman Rowe (below), a fine performing singer, announced the MEMF would continue its focus on early music in the New World. This year’s the theme was basically Mexican and South American music, composers and performance practices. Next year, the same theme will be carried north into the fledgling United States and into French-Canada. 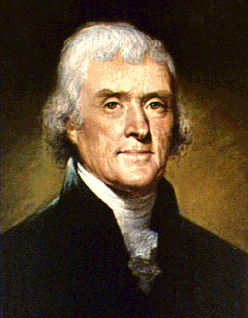 According to Rowe, it will also touch on Moravian music in the early colonies and include performances of music that was in the library of President Thomas Jefferson (below), who was not only a Founder and the author of the Declaration of Independence, but also a humanist and scholar with almost universal interests who founded the University of Virginia. “It promises to be quite exciting,” Rowe said. That’s an understatement, especially given the timing with a presidential election – which may or may not be coincidental. The dates are July 7-14, 2012. I doubt that detailed information for next year has been posted yet, but it is not too soon to plan and pencil it in your datebooks. If you are interested you couldn’t go wrong by visiting the festival’s h9ome page and pursuing the contacts you find there. Information about the workshop schedule and enrollment is available http://www.dcs.wisc.edu/lsa/memf/, or by phoning 608 263-6670. What do you think of the theme for next year?